As travelers prepare for their next flight, one of the biggest concerns they may have to revolve around food and nut allergies. According to Food Allergy Research and Education, as many as 15 million Americans suffer from a food allergy, affecting one in thirteen children under 18. Furthermore, an estimated three million Americans suffer from nut allergies. The enclosed cabin of a commercial aircraft can create an unsafe space for those who suffer from food allergies. As a result, both passengers and airlines are taking proactive steps to reduce exposure to food allergies, allowing passengers to enjoy their flights safely and in comfort. However, each American carrier takes a different approach when it comes to protecting passengers from food and nut allergies, with some going to greater lengths than others. The following is a brief summary of the food allergy policies of America's major airlines. A full list of allergy situations among major international carriers can be found at Allergic Living Magazine. Since completing its merger with US Airways in 2015, American Airlines has faced ​many challenges expected of a combined carrier. One item that has stayed stable is their policies towards flyers with food allergies and nut allergies. At booking, travelers are asked to disclose their allergy situation. If the traveler denotes an allergy, they can expect a follow-up communication from the airline to discuss the exact nature of the allergies. If the traveler does not note a food allergy or nut allergy at booking, it is highly recommended they call the airline reservation center to have a note added to their account. Travelers who have different food allergies can request special medial options when traveling in a class with meal services such as business class or first class. Options include meals that are Kosher or Halal, as well as vegan, diabetic, and gluten-free meals. In certain situations, special meal requests must be made at least 48 hours before a flight. However, travelers with nut allergies may face additional challenges when aboard an American flight. According to American Airlines' policy statement, the airline cannot take requests to not serve certain foods. Travelers who are concerned about their exposure to nuts may not pre-board their aircraft to wipe down seats and surfaces, nor are they allowed to request a "buffer zone" from nuts. Finally, because other travelers are allowed to bring nuts aboard the aircraft, the airline cannot guarantee a nut-free flight. Travelers are encouraged to take all personal precautions necessary prior to boarding, including packing medications in carry-on luggage. One of the world's largest airlines by passengers, Delta Air Lines offers a very generous policy for those traveling with food allergies or peanut allergies. Like other airlines, travelers can denote their allergy situation at booking, allowing the airline ample time to prepare for a traveler. If booking through a travel agent, travelers should notify their agent of the allergy, allowing them to tie the allergy alert to their personal name record, or PNR. For those travelers with food allergies, Delta offers a number of different religious and dietary restricted meals to accommodate everyone aboard their flights. Those who have religious restrictions can select Hindu, Muslim, or Kosher meals prior to boarding. Others who have food allergies can request a special meal for diabetics, gluten-free meals, and meals with low fat, low cholesterol, and low sodium. According to Delta's policy statement, those with nut allergies are given preferential treatment on the day of their flight – however, they must notify gate agents and flight attendants of their needs prior to boarding. If a traveler with a nut allergy notifies Delta personnel at the airport, they can be allowed to pre-board the aircraft and wipe down anything they will be making contact with. Furthermore, the flight attendants may work to create a nut-free "buffer zone," allowing travelers to fly in comfort. Although the airline cannot guarantee a completely nut-free flight, Delta will work to make sure those with nut allergies fly safely. One of the newer carriers flying across the United States, JetBlue Airways has a passenger-forward policy to assist those contending with food allergies or nut allergies. As with many airlines, travelers can note their allergies at the time of booking, which allows ample time for the airline to prepare for the flight. Those travelers who are booked in their premium cabin, known as JetBlue Mint, can request special meal service based on dietary needs. Meal options include Kosher, vegan, healthy-medical, gluten-free, and a special children's meal. Travelers must request the special meal at least 48 hours ahead of time by managing their flight online or calling the airline directly. Travelers with nut allergies must inform gate agents and flight attendants of their needs on the day of their flight. According to JetBlue's policy statement, flight attendants can create a nut-free "buffer zone" both one row ahead and one row behind a passenger, where no nuts will be served aboard a flight. Passengers sitting in the "buffer zone" will be asked not to consume nuts they may have brought aboard during the flight. If a passenger with a nut allergy cannot be accommodated on a flight, they may be refunded by JetBlue at the airline's discretion. America's largest carrier by passengers understands they may carry passengers who have peanut dust allergies aboard their flights. As a result, the airline has a nut allergy plan in place, to help passengers fly comfortably aboard their aircraft. Although passengers with allergies can book their flights online, the carrier recommends passengers call the airline reservation center to purchase tickets. When on the phone, passengers can alert agents of their allergies and discuss options for their needs. The airline advises travelers with nut allergies should consider traveling on early morning flights to take advantage of freshly-cleaned aircraft. On the day of flying, the airline advises travelers to arrive at their gate one hour ahead of their flight, leaving ample time to check luggage and clear through the Transportation Security Administration checkpoint. When a traveler identifies themselves as having a nut allergy, they will be given a Peanut Dust Allergy Document for every leg of their trip. The document alerts flight attendants of their needs. Once the traveler boards with the document, the flight attendants will not serve peanuts during the flight. Instead, the flight attendants will only serve pretzels while in flight. The airline cannot guarantee a peanut-free flight but will refrain from serving peanuts until the passenger leaves the aircraft, and may request others to refrain from consuming nuts they brought aboard. Unlike other airlines, Southwest offers no food service aboard their flights. Therefore, there are no special meals available aboard the carrier. Much like fellow legacy carrier American Airlines, United Airlines' food allergy and nut allergy policies differ from other airlines. While the carrier offers a number of special meals for those with dietary restrictions, the carrier takes a more relaxed stance on nut allergies. Travelers who have specific dietary needs and are seated in a premium cabin with meal service can request a special meal at least 24 hours before departure by contacting the airline. Different meal options available include Asian vegetarian, Hindu vegetarian, vegan, and gluten-intolerant. Those who have a dietary restriction based on their religion may request a Jain, Kosher, or Muslim meals. For those travelers with specific nut allergies, United's policy statement dictates the traveler address their concern directly with the flight attendant aboard their flight. Although the airline cannot create a nut-free "buffer zone," the flight attendant may request those seated near the nut-allergic passenger to refrain from eating nuts during the flight. The airline cannot accommodate requests to change snack services due to allergies. Much like their international cousin airlines, Virgin America has made a commitment to not serve nuts as snacks aboard their flights. However, the airline cannot guarantee a nut-free environment. If the airline is made aware of a passenger's allergy, they can take precautions to ensure the flight ends safely for everyone involved. According to the Virgin America policy statement, the airline notes potential allergens on all menus available in the aircraft and on the website. Immediately after booking a flight, travelers with food allergies or nut allergies should contact Virgin America to discuss their travel options. 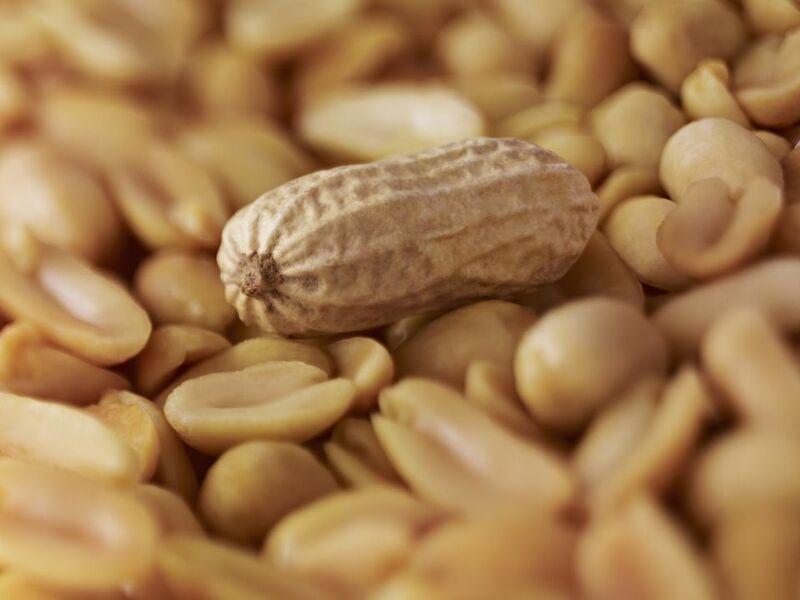 When a food allergy or nut allergy is identified, the flight attendants will make an announcement in the cabin asking passengers to not open or consume packages with nuts during the flight. Although the airline has not made alternate meal options available on their website, Allergic Living Magazine notes that there options for passengers who have specific food allergies, including a gluten-free option. Travelers who have concerns should contact Virgin America directly to have their questions resolved. What's on TV? Ten television commercials from global carriers.